We all agree Christmas is just ducky, but a Christmas Duck as decoration is a bit off the beaten visual merchandising path. 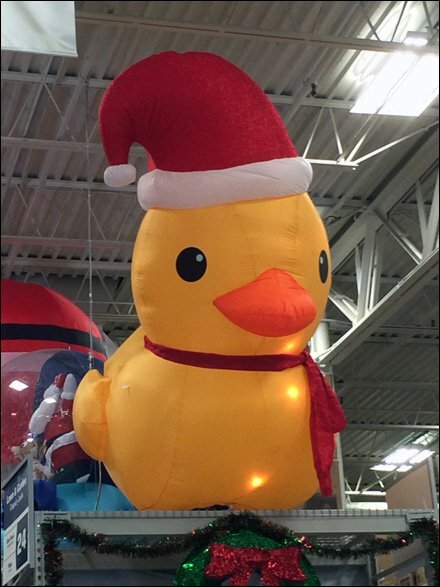 Still a giant Christmas Ducky would catch the eye of your shoppers and let them know where your Christmas department is located. 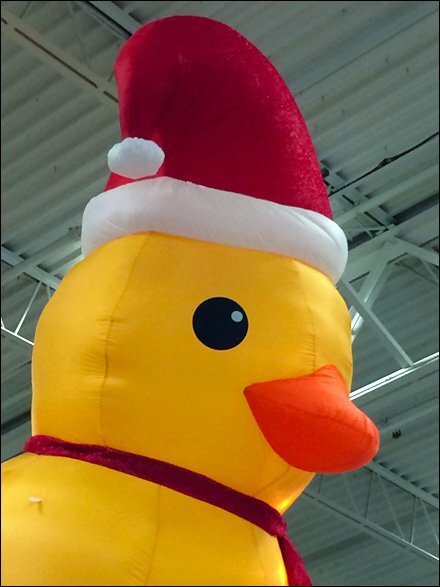 CLICK the thumbnail for an introduction to the Christmas Ducky close up. Seen in lumber and hardware warehouse retail roosting above the outdoor decorations department. Follow Fowl and Christmas outfitting FixturesCloseUp posts below.